Today I’m sharing a DIY project I pulled together for Domino Magazine a couple of months ago and I wanted to share it here on the blog. 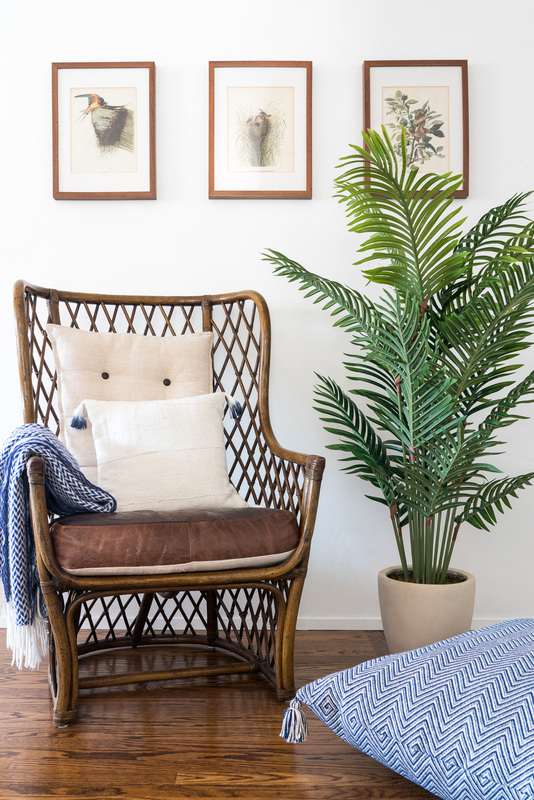 One of the easiest ways to change up the aesthetic of a space is through pillows. Problem is, pillow covers aren’t always cheap and if it’s something you want to do seasonally (I’m guilty! ), it can be an expensive habit. I always have good luck finding textiles at the flea market, but your local craft or fabric store will have many options as well. My sewing skills are super basic (never took home ec in middle school), but all you need to know is to sew in a straight line and you’ve pretty much done the hard part of sewing a simple pillow cover! For this project, I pulled together a few trends I’m loving right now: dip dye, tassels, and mudcloth and I love how it turned out. 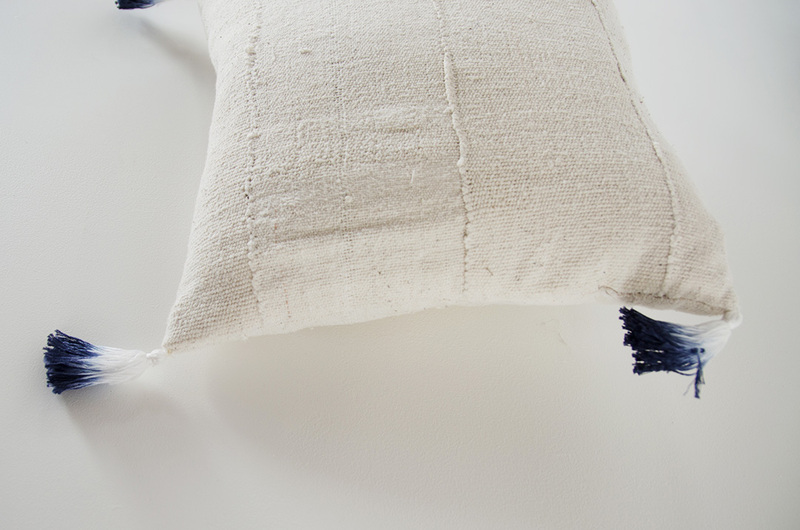 The tassels add just enough to the pillows to keep them from looking boring. 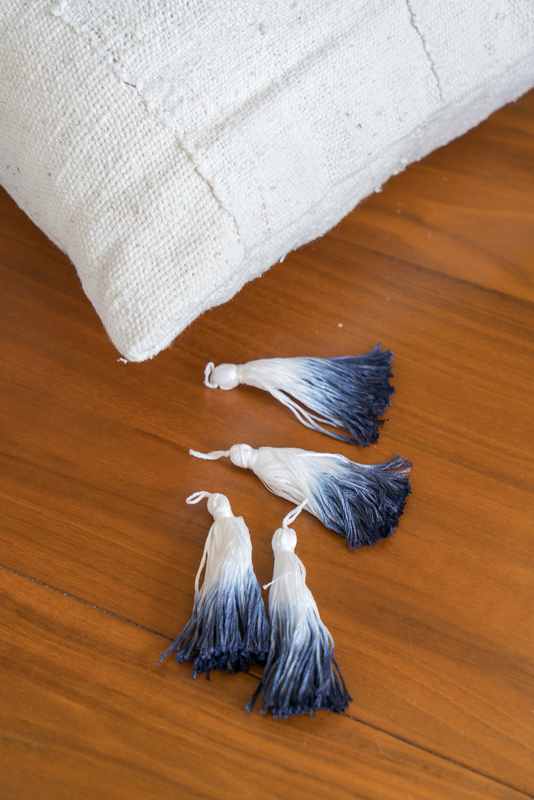 I also love the idea of adding more tassels to each corner in various colors to change things up for the summer. 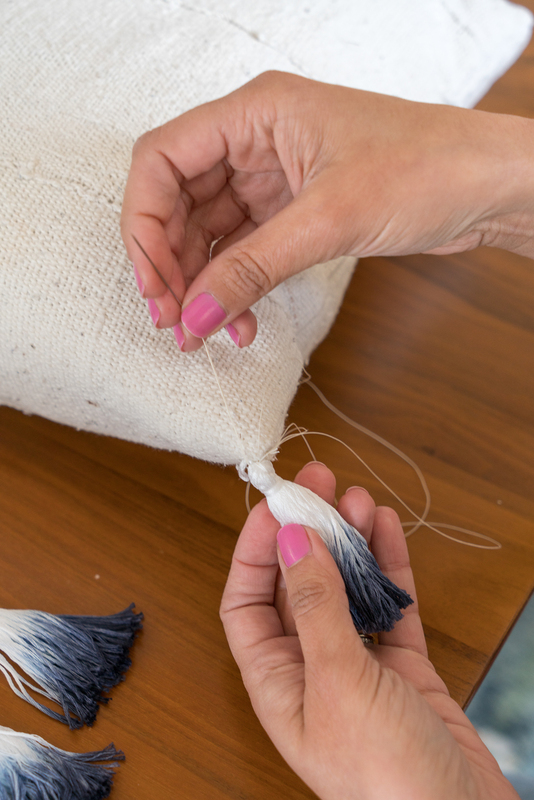 Using the one of the threads, wrap around the bundle to make the head of your tassel. 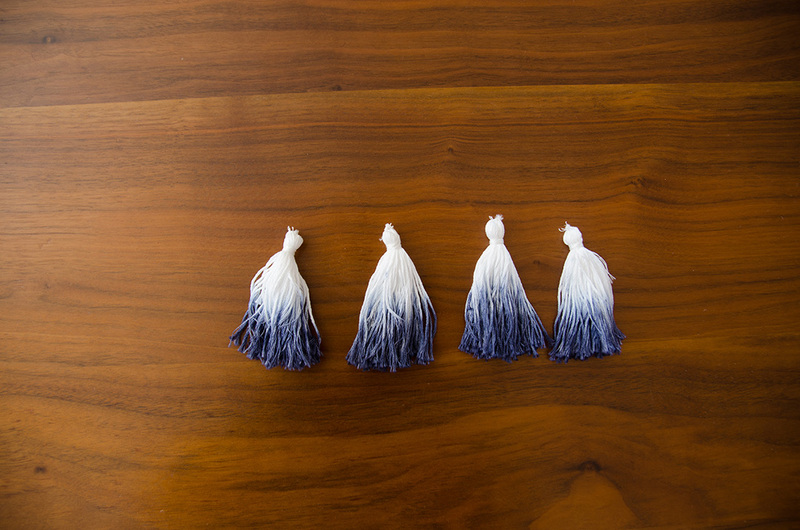 Dampen your tassel to prep it for dyeing. Make sure to squeeze out the excess water. Clip the top of the tassel using a binder clip and leave the tassel in the dye for about an hour. Once you’ve achieved your desired color, rinse the tassel in warm then cold water until water runs clear. Hang and allow to dry. Using a sewing machine (or by hand if you prefer), sew a hem around 3 sides of the panels. The hem should be sewn about .25”-.5” around the edge. You want the cover to be about ½ inch smaller than the measurement of the pillow insert so it’ll be nice and full once stuffed. Fold the cover so the hem is now inside and slip in the pillow insert. Fold in the mudcloth edges of the fourth side and finish sewing by hand. Using a needle and thread, sew one tassel for each corner.